Jane Jacobs compares Toronto & Montreal, 1969 – An archival video from CBC TV’s “The Way It Is” program featuring urbanist and author Jane Jacobs commenting on how these two cities were planned and built. Saskia Sassen ‘I Bring Open Source Urbanism and Urbanizing Technology’ – In this talk, Sassen proposes that urbanizing technology can can allow people to better “talk back” to cities and implement user-driven change. For more read her Domus op-ed titled Open Source Urbanism. 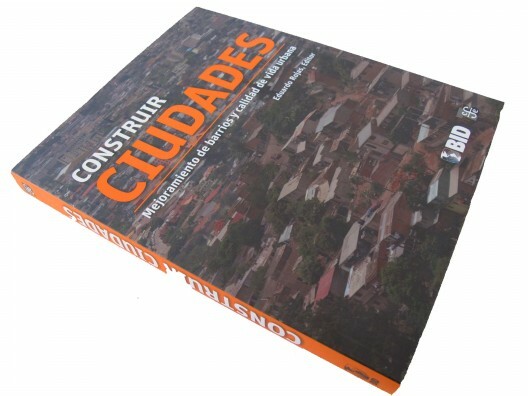 Book: Construir Ciudades – For Spanish-speakers, a book recently featured on Plataforma Urbana that traces experiences and offers case studies in Latin American and the Carribean on the improvement of neighborhoods. You can download the entire book in pdf format. Book: LAU2 – Lastly, a peek into our urbanism lab’s latest publication, in case you missed our post!